Foehn winds in the Alpine area are definitely not a unconvenient situation during autumn. 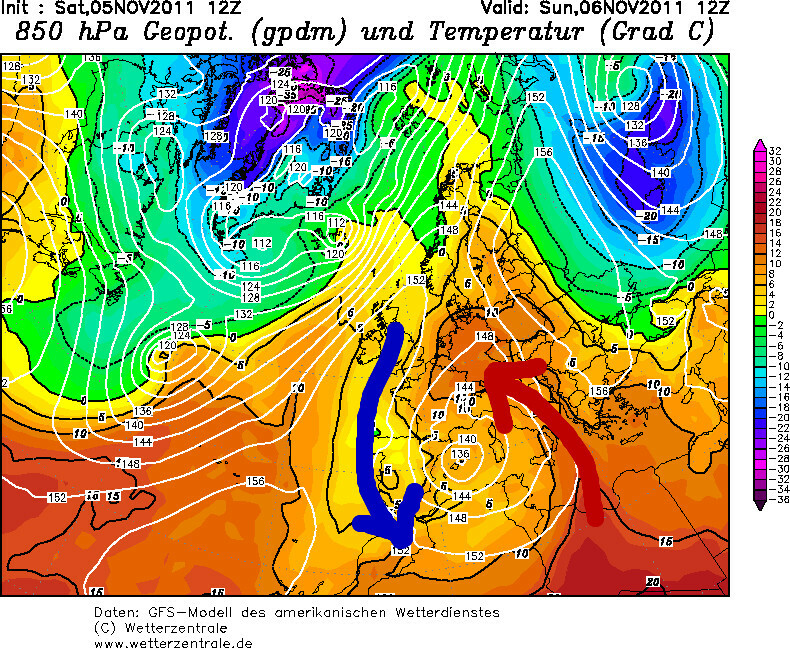 But the current synoptic setup results has some extreme effects. On the southern part of the Alpine arc the accumulated rain exceeded several 100mm while in Germany temperatures up to 24 °C were observed.